Can The 707hp Jeep Grand Cherokee Trackhawk Squares Beat The Tesla Model X P100D? The Tesla Model X P100D is one of the quickest crossovers on the market and we’ve already seen the model beat the Lamborghini Urus in a drag race. 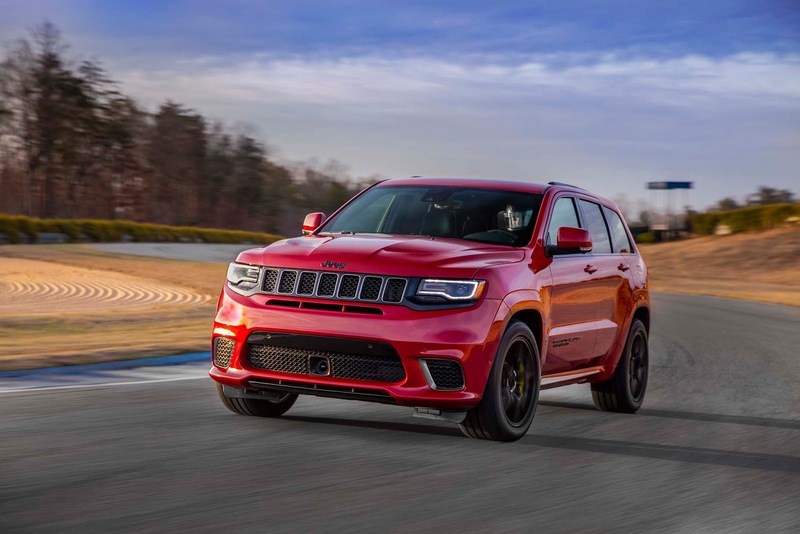 While the Urus has a twin-turbo 4.0-liter V8 engine that produces 641 hp (478 kW / 650 PS) and 627 lb-ft (850 Nm) of torque, those impressive figures are no match for the numbers generated by the Jeep Grand Cherokee Trackhawk. Featuring a supercharged 6.2-liter V8 engine that develops 707 hp (527 kW / 716 PS) and 645 lb-ft (873 Nm) of torque, the high-performance model can rocket from 0-60 mph (0-96 km/h) in 3.5 seconds and run the quarter-mile in 11.6 seconds at 180 mph (289 km/h). That’s pretty impressive for a 5,356 lbs (2,429 kg) SUV, but can it beat the Model X P100D? Carwow wanted to find out so they pitted the two models against one another. After waiting for 15 minutes to allow the Tesla’s battery to warm up, the race begins and the Grand Cherokee takes an early lead. However, the Tesla eventually catches up and manages to overtake the Grand Cherokee for the win. The video says the Model X ran the quarter-mile in 11.8 seconds, which means it should have been beaten by the Grand Cherokee if Carwow would have been able to replicate the time claimed by FCA. Of course, they weren’t able to do that as the model ran the quarter-mile in 11.9 seconds. 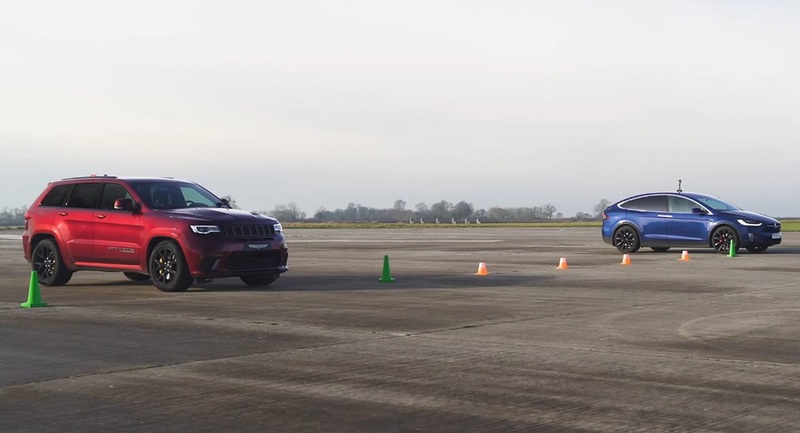 Even if they were able to replicate the quarter-mile time of 11.6 seconds, it doesn’t necessarily mean the Grand Cherokee would have won. As the reviewer notes, they’ve previously clocked a quarter-mile time of 11.3 seconds in the Model X. Vehicle Traveller Can The 707hp Jeep Grand Cherokee Trackhawk Squares Beat The Tesla Model X P100D?